A new multi-family apartment complex is under construction in the 100 block of University Crescent. 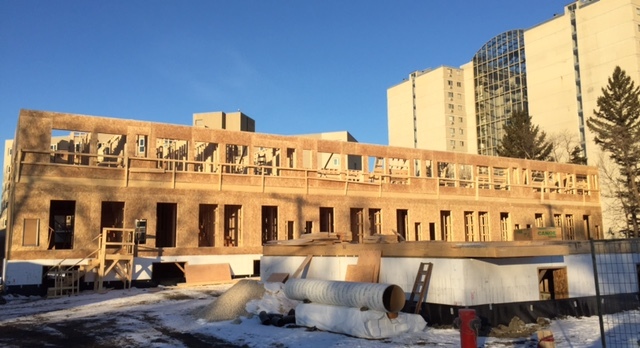 Two buildings are being constructed, one with 14 units, and the other with 18 units. Between the two buildings would be a shared courtyard and ample bike parking! Anticipated occupancy is for Fall 2018. An open house occurred for this site in June 2017.